It only seems a few weeks ago that I was complaining to the other mums on the school run about how I couldn't wait for summer to be over. And now, autumn is well and truly here! We are layering up - jumpers on, coats on, boots on - as cooler climes are with us. Jude has a gorgeous new winter jacket to see him through the colder months. 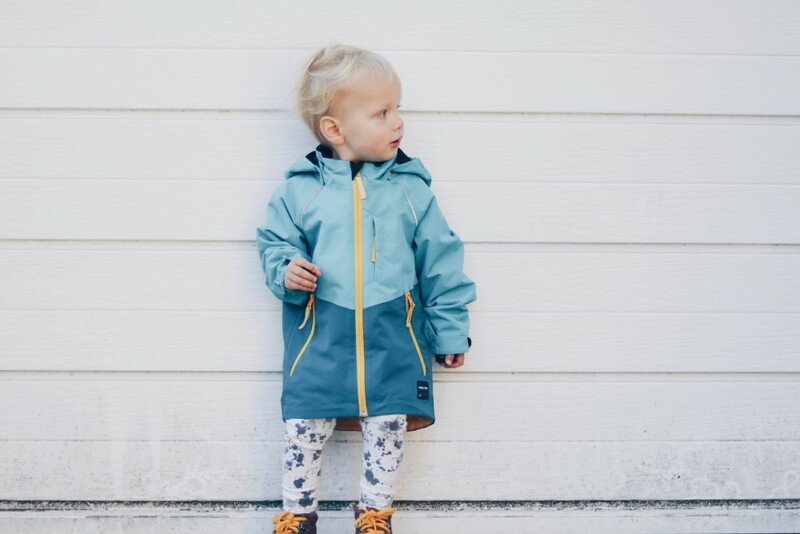 It's from Scandinavian childrenswear brand Polarn O. Pyret's autumn/winter outerwear collection, which is super stylish and totally practical. Polarn O. Pyret have a famous philosophy which is to "let children be children", and their designs are created around this ideal. Like me, they believe children should be able to play outside whatever the weather. 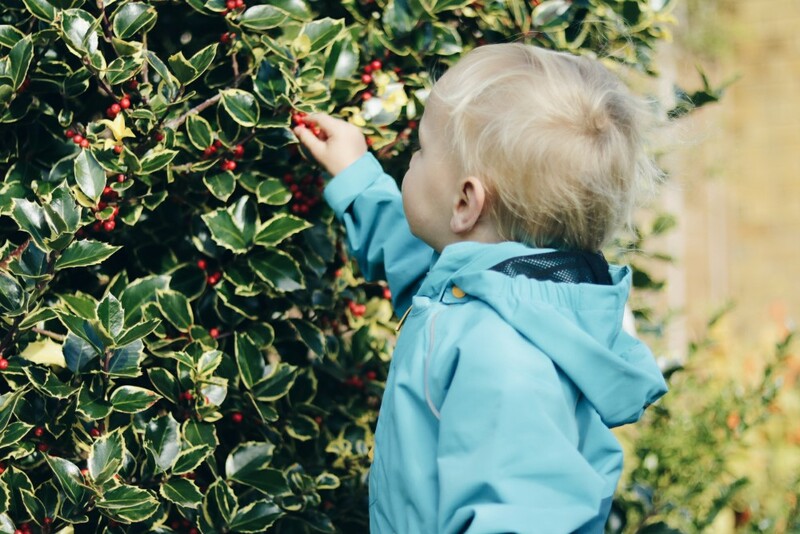 When colder weather comes they simply design stronger and better clothes to keep the elements at bay, whilst still allowing freedom of movement for playing, exploring and adventures. 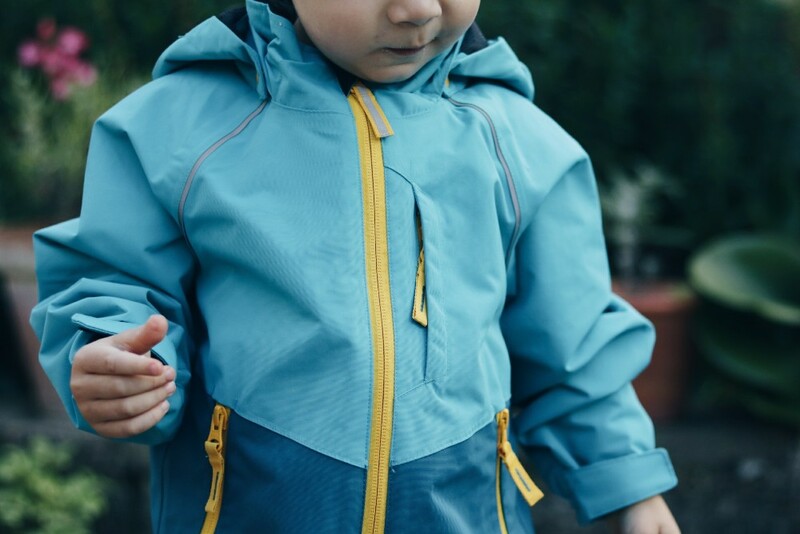 The waterproof Shell Jacket (£65.00) from Polarn O. Pyret has been designed to see children through all four seasons: it can be worn alone during the milder months, and when the weather turns colder you can create a cosy winter coat by combining it with their snuggly Fleece Jacket. 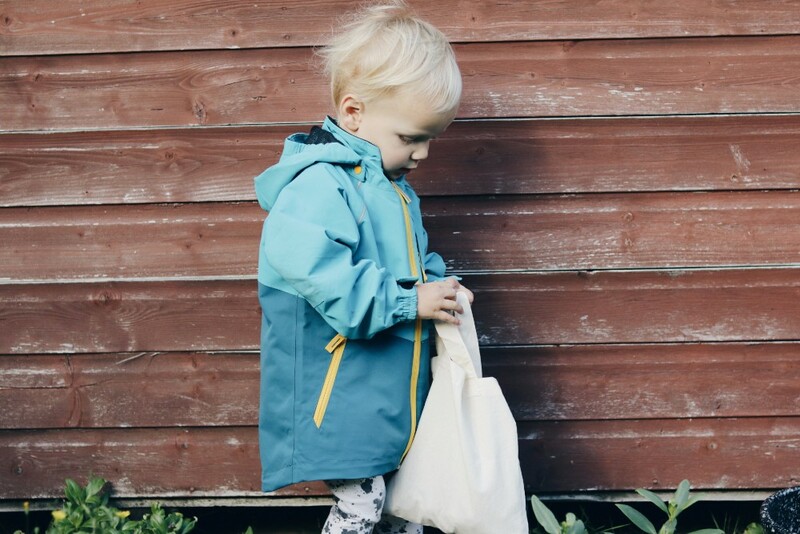 Jude was sent the Shell Jacket for this review, and we already have another fleece jacket that we can pair it up with come winter, so we are prepared for any kind of weather! 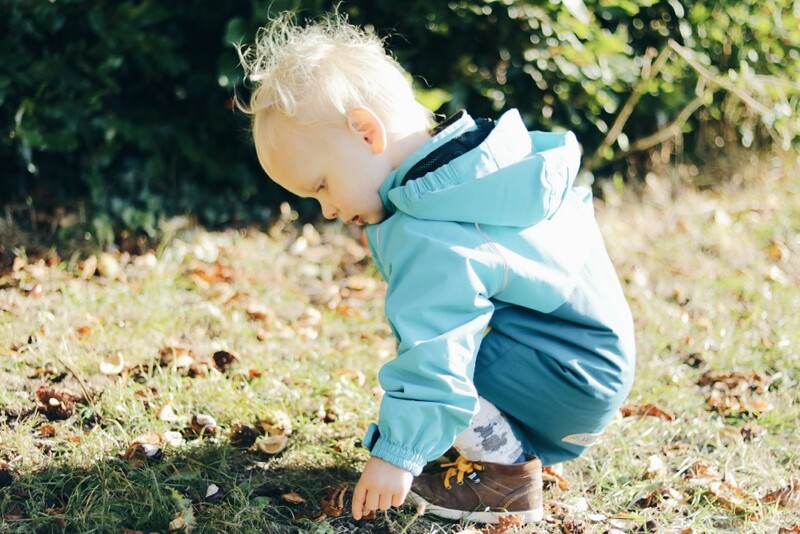 I love that Jude is warm, comfortable and protected from the elements in this lightweight jacket, but he can still play and explore with ease. Design features such as pre-bent sleeve and the adjustable hood and hems mean he isn't restricted, even when paired up with a fleece jacket. I also like the little reflector patches on the jacket which give increased visibility on the darker mornings and evenings and make it an ideal coat for school days. The Shell Jacket is available in a variety of colours but this turquoise and blue combination is my favourite. The colours are so vibrant and I adore the flashes of yellow on the zip and pockets. I think the colours look absolutely wonderful contrasting against the brown and red tones of autumn. I've already washed this jacket a few times, because being a busy little explorer means getting mucky, and each time the jacket has come out of the wash looking like it's new. There is no loss of shape or fading to the color whatsoever. And that is what I really love about Polarn O. Pyret. Besides looking great, their clothes are truly made to last. I know this jacket will see Jude all through this winter, and most likely next winter too. And who knows, perhaps in a couple of years time his little brother or sister will be wearing it! Polarn O. Pyret of Sweden have 17 stores and e-commerce across the UK and Ireland. Also available at John Lewis and House of Fraser online and www.polarnopyret.co.uk. With thanks to Polarn O. Pyret for sending us the jacket. What a lovely jacket :) We have it in yellow, but I didn't see this dual shade - they are gorgeous colours! Beautiful photos too. Gorgeous colour and although it is Spring here it is so cold right now! I have never heard of this brand- but it looks like a very sturdy little coat!